The Government’s help to buy scheme was launched in April 2013 and is designed to help those who cannot afford a deposit of more than 5% get onto the property ladder. Since its launch, it has already helped thousands of people move into new build properties. Working with a wide range of new build developers, we have helped many of their clients utilise the help to buy scheme since its inception. Our team’s knowledge of the market means that we are ideally placed to provide advice and guidance on this and other schemes available on the market to help first-time buyers. How does the help to buy equity loan scheme work? If you’re a first-time buyer looking to purchase a new build property but are unable to afford a deposit larger than 5%, you may be eligible for the help to buy equity loan scheme. On the condition that the purchaser contributes a deposit of at least 5%, the Government will lend 20% of the purchase price as a loan. This loan is interest-free for 5 years. You will then need a mortgage for the remaining 75% of the property (a loan to value which gives access to more competitive interest rates). Once you reach the sixth year of your loan, you will start paying interest at 1.75% on the government’s 20% loan – this rate will go up each year by any increase in the Retail Price Index (RPI) plus 1%. The loan can be repaid in full at any time. However, it must be paid off in full after 25 years, or if you move house. Those living in London qualify for further support, with the Government granting an equity loan of up to 40% of the value of the property. You must be able to provide a minimum 5% deposit on the property. The property you are purchasing must be a new build property. The maximum value of the property you intend to purchase cannot exceed £600,000. The property bought must be the only property you own. If you are considering utilising the help to buy scheme to purchase your first home, get in touch with our professional advisers on 0800 138 5856 or fill out a contact form and we will get back to you within 24 hours. Member of the armed forces looking to buy a home? In addition to the Government’s main help to buy scheme, there is a scheme specifically designed to help members of the armed forces move out of service accommodation and purchase their own home. A pilot Forces Help to Buy Scheme (FHTB) was launched on 1st April 2016 and has subsequently been extended to 2018 following its success. It also benefits those who have to move home because they are assigned to a new posting. At Key Solutions, we are leading providers of mortgages for those using the Government’s Forces Help to Buy Scheme. The scheme is designed to help you get out of service accommodation and onto the property ladder. The scheme also benefits those who have to move home because they are deployed elsewhere. How does the scheme work? If you’re a serviceman or woman in the British Army, Royal Marines, Royal Navy or RAF you may be eligible to borrow up to half of your salary, to a maximum of £25,000. The loan is completely interest-free and is repayable over 10 years in monthly instalments, this can be used towards a deposit and other associated costs involved when buying a house, such as estate agent’s fees. You must be in regular military service. You need to meet qualifying medical categories. You should have at least six months left to serve at the time of application. You cannot have owned a property within 50 miles of the proposed purchase in the last 12 months. It is important to note that qualifying for the scheme does not guarantee you a mortgage, you will still have to be assessed on your individual circumstances but being awarded a loan under the scheme can help make your application more appealing to lenders. If you are thinking of using one of the Government’s help to buy schemes, whether a member of the armed forces or not, speak to the team here at Key Solutions. We can help you find a suitable mortgage lender and product to provide the mortgage you need. Give us a call on 0800 138 5856 or complete the contact form and we will be in touch within 24 hours. It is important to our gang that we provide as much help as possible to our clients; after all, we are the experts. So we want to share our knowledge to ensure you understand, as much as possible, how we are helping you to find the best mortgage solution. 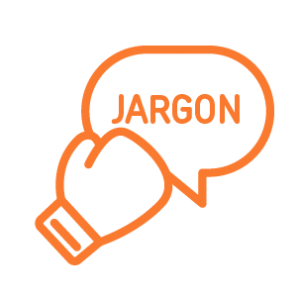 To help increase your knowledge and understanding why not take a look at our latest blog posts, and our handy jargon buster. Our clients are always telling us that we are more than just a mortgage broker. Find out what makes us different and why they keep coming back time after time. Find out more about our help to buy by calling the team on 0800 138 5856 for free. Or send us an email, we guarantee to respond to all enquiries within 24 hours. To get more help call the gang on 0800 138 5856 for free. Or send us an email, we guarantee to respond to all enquiries within 24 hours. Key Solutions Mortgages Ltd is a whole of market Independent mortgage broker providing advice on mortgages, life cover & income protection and general insurance to individuals and businesses for over 20 years.